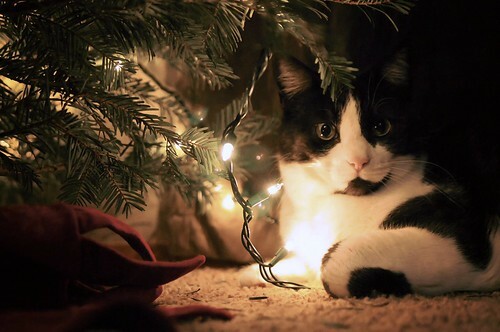 My furry baby Milton loves sleeping under the Christmas Tree. He has done this since he was a baby each year when it first goes up! This was a welcome change, for a few nights I did not have to keep shooing him away from Ava’s door where he paws hoping for a snuggle in her crib! 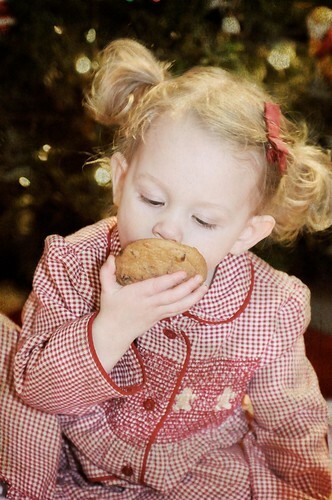 OK so when the cookie shoot was a bust I decided to tempt Ava with a new yummy. She LOVES mints so I found these giant candy canes at Walgreens. 1. Candy Canes are sticky and we have pets. They were coated in cat hair within minutes. I had to keep switching them out for new ones. 2. 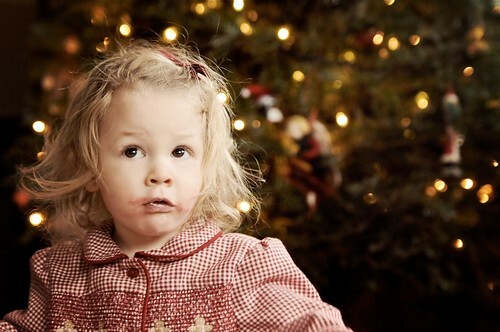 The red of the candy cane does leave marks…it also can be washed out. 3. 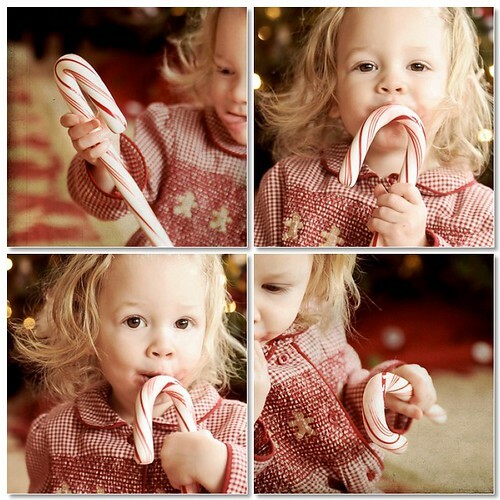 Even with a candy cane Ava will NOT sit still!!!! 4. 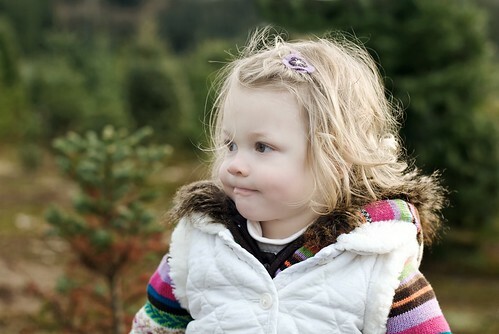 Even these giant candy canes can brake…and make a toddler cry in the process! 5. Ava is definitely a Peppermint Monster. We had to start hiding the candy canes it was all she wanted and they are MESSY! A messy face is a happy face! A Cookie Monster… she is NOT! So I could not wait to attempt the Santa Cookie photo shoot this year. I could just see the pictures with Ava in her adorable red checkered gingerbread man PJ’s, I mean how could this not be cute? 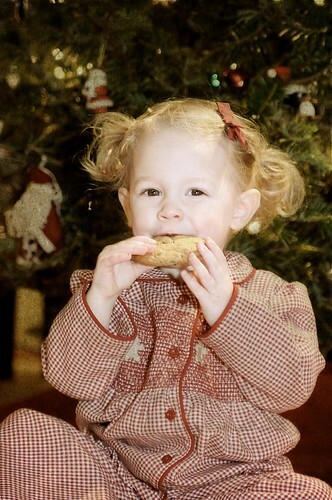 OK so there was one thing I failed to consider… Ava wanted NOTHING to do with the cookies! Are you kidding me?? 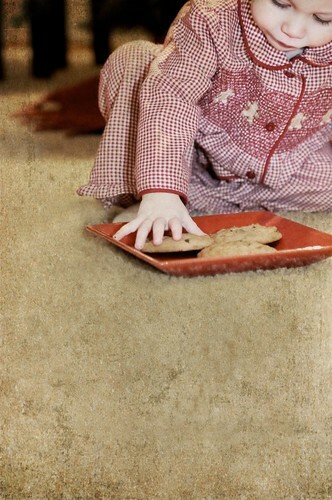 Here are the only four pictures I managed to get before she put the cookies down and was off! I still am lost sometimes with my external flash sometimes it rocks and other times it is overly apparent that I have no clue to what I am doing! A BITE!!! Kinda... then she was off! Maybe next year! I wonder what he is telling her??? As I have mentioned before I LOVE to name things, it is my quirky obsession. 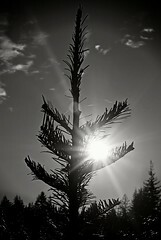 So it makes sense then that our Christmas trees are also provided with a name. 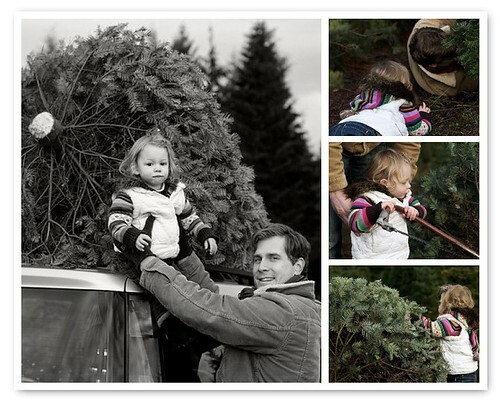 It is actually how I find them at the tree farm. Larry and I decide what the name of our tree is before we begin the hunt, that way I know who I am looking for. After all a Fred hardly looks the same as an Alfred. 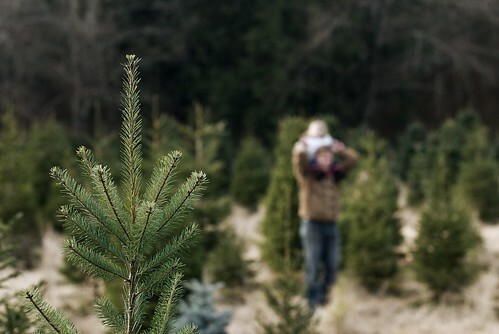 In the past we have housed several trees; Everett (before we moved here, how ironic), Cornilus, Rupert and Sebastian have all joined the ranks as honored Fleckenstein Family Trees. This year it was Octavius that we searched out and found! What fun! 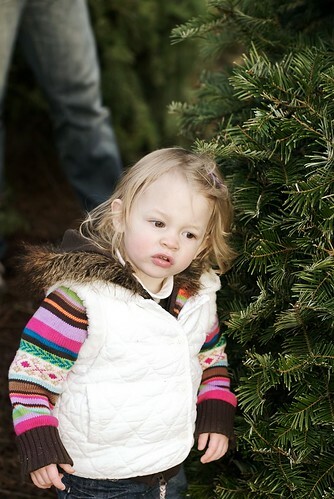 Ava’s first Christmas Tree, since last year we were in Michigan. Now I am not going to lie and paint this as a “perfect” family fun day although we will have wonderful memories. 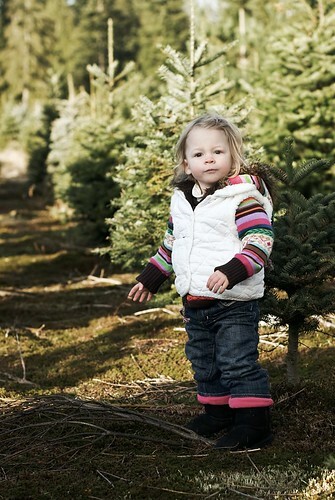 A toddler in an open tree farm just means constantly on the go, go, go. Which means we follow, follow, follow. 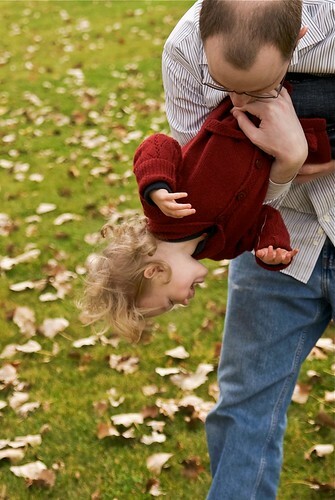 Larry and I were often in several opposite directions, and taking pictures chasing after a toddler is not always fun or easy. 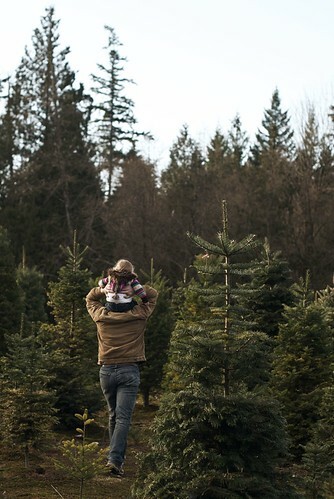 In the end, it took much longer than usual to track down our tree. But when it was all said and done Octavius was perched proudly on our car roof, Ava was smiling and tired and the memories were documented, whew! What fun pics but as I look through this set I am once again reminded that I MUST train Larry to use my old camera. After all as I continue to document and blog these memories I would like for Ava to look back and see me and her together!!!! My goodness Ava loves that red, furry monster. I always joke that someone sure did their research when it came to Elmo after all what kid does not LOVE him. Parents however often have slightly different reactions!! HAHA! But Ava is deffentily attached. She carries her Elmo everywhere, sleeps with him and now cares for him. She feeds, tucks Elmo in for naps and makes sure that he has a paci just like her. It is precious. So much for the adorable vintage bunny I thought would be so cute as her favorite toy. They have a mind of their own… especially my little munchkin! 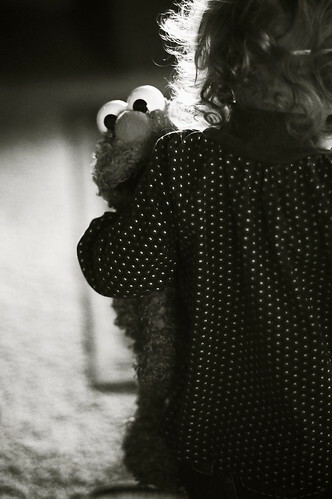 Cheers Elmo and thanks for all the smiles you give my darling girl! 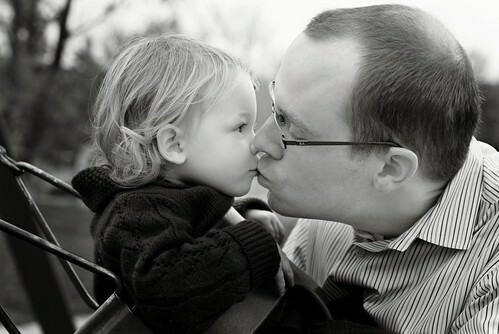 My brother is so amazingly cute with Ava, or the peanut as he calls her. He LOVES her! 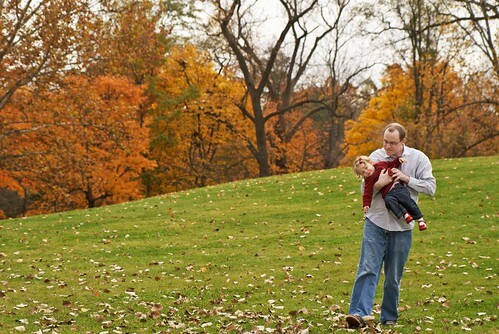 Our last trip home to Michigan was spent almost entirely filled with quality Uncle time; parks, cider mill, pumpkin patch. I just ate up every smile, giggle and squeal. We are hoping Uncle Kiss makes it out west soon for a visit!!! 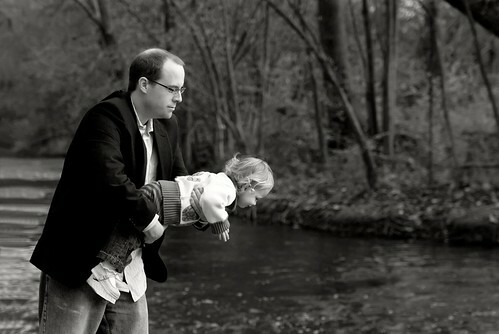 Here is a record for Ava of some fun Uncle moments captured on camera!! !